Spencer Gifts - Spencer's is a unique retail brand that has been focused on delivering humor and enjoyment to peoples' lives for over 50 years. SpencerGifts.com offers pop culture and novelty gifts for any and every purpose and occasion, including birthday gift ideas, bachelor and bachelorette party gifts, gifts for dad, gag gifts, T shirts, décor, and much more. Spencer's is dedicated to providing our core 18-25 year old visitors with innovative, humorous and fun merchandise. Catering to nearly every demographic, from family fun to adult oriented merchandise, Spencer's has a wide target audience and huge selection to suit nearly every taste. Affiliates earn 10% per sale. StrictlyGifts.com - a division of TrophyCentral, offers high quality personalized gifts at discounted prices. StrictlyGifts specializes in leather gifts (wallets, binders, briefcases, etc. ), engraved gifts (recognition awards, corporate gifts, etc.) and wedding gifts & favors. Because of the high $'s/order and industry leading product selection, affiliates have an opportunity to earn great commissions. The commission rate is 10% per sale. Sunshine Jewelry - offers quality, inexpensive, manufacturer direct jewelry for men, women and children at Savings of over 67% Off retail prices. Sunshine Jewelry offer great internet discounts, as an inducement for website visitors to order. Their 35 year reputation stands behind every sale as do their Lifetime and Moneyback Guarantees. Sunshine Jewelry offer 14K&10K Gold, Sterling Silver as well as one of the biggest offerings of 14K&10K Goldfilled jewelry in the world. Earn 17.5% commission on each sale. SuperJeweler.com - The best diamond jewelry at discount prices. Get the lowest prices on diamond wedding bands, diamond post earrings, diamond promise rings, and more. SuperJeweler's selection of diamond and fine gemstone jewelry is huge! From genuine diamond solitaire rings, to sapphire jewelry, even tungsten wedding bands! And you can shop them all by category or price! At SuperJewler.com, we exceed the expectations of our customers. Free Shipping and a Money Back Guarantee ensure a positive shopping experience for your site visitors, resulting in an extremely satisfied loyal customer base. SuperJeweler use an extraordinarily long 120-day cookie and unlimited action referrals occurrences to ensure you receive credit for your dedicated work. Earn up to 16.00% commission on sales. Szul Jewelry Online - Szul is one of the first online jewellers to offer a remarkably wide selection of diamond, gemstone, and pearl jewellery. Szul aspires to become the top e-tailer of quality jewellery by building trusting, confident relationships. They strive to bring their customers the highest quality products, values, and services through our easy and convenient online store. Earn 3% commission. Check out the Szul Engagement Rings shopfront. Take Time - offers people minutes in time - past, present or future. Buyers receive a unique, framed personalised certificate with the date and time they have purchased plus the name of the owner of that minute in time and the reason they own it. Are you looking for an imaginative way to celebrate the birthday of a friend or loved one? Why not give them a minute from the day they were born? Or a minute from a sporting event that is special to them, a minute on the day their favourite star was born or any other significant event in their life? The purchase is recorded in an online database and only one person can own any particular minute. Affiliates earn 25% on all sales for up to a year from the initial referral. Take Time provide your own affiliate panel where you can track your stats and payments. Take Time handle order shipment and billing. Take Time offer plenty of adverts for you to choose from including text links, Google-style adverts, keyword campaigns and the ability to track your campaigns. Thorntons - is one of the leading chocolate gifts retailers in the UK, with a heritage that dates back to 1911 and chocolates that are adored the world over. An excellent brand name, which has an ever-growing online presence, there couldn't be a better time to become an affiliate with Thorntons. Consumers are not only able to purchase a whole host of favourites that are available in-store, they can also choose from a range of products exclusively available online from Chocolate Toffee Hampers to Champagne Wine Hampers and Flowers with Chocolates, Thorntons.co.uk really is a one stop shop for gifts for every occasion. As well as stocking a range of favourites, like our Continental Chocolates, our Master Chocolatier's pursuit of perfection ensures that we continue to offer new chocolate ranges including Revelations, Organic Chocolates and a range of Single Origin Chocolates made using the finest cocoa beans from around the world. Consumers can even choose to create their own chocolate box selecting all their favourite Thorntons chocolates to fill it with. Our 'easy-to'navigate' website offers consumers a range of gift ideas and always stocks a great selection of gifts, particularly at peak periods including Easter, Mother's Day and Christmas. Thorntons.co.uk offers an exciting and varied gift delivery service, offering a wide range of treats that aren't available in its high street stores including Champagne and wine hampers. UK and international delivery is available and next day delivery is available on most gifts. Thorntons continued focus on its internet retailing business means that the website is going from strength to strength with new products and new features, to improve the customer experience, being added all of the time! Earn 8% commission on sales. Thorntons also provide contents links you can use to build a virtual Thornton Chocolate Shop on your site. Timex - has a watch for every occasion and every season – from style and fashion to outdoor casual, from sports training to wearable technology.Moreover, we offer one of the highest commissions in the business. This program is for the US and Canada. Banners and links are available for each. Earn up to 8% on all of our products on every referred sale. Tribe Tats - is the highest quality jewelry-inspired metallic tattoo brand, which is an emerging accessories category experiencing explosive worldwide growth. TribeTats are perfect for concerts, the beach, a night out on the town, or to layer with everyday jewelry. Each TribeTats Collection includes four full sheets of designs: Bracelets, Armbands, "Anywhere" and Necklaces/Rings. It is the exclusive provider of perforated sheets for easy separation -- no scissors required. It is also the only company that offers luxury Metallic Rose Gold in addition to classic Gold, Silver and Black designs. Earn 20% commission on sales. Unique Gifts Store - Unique cool gifts for men and women that are created on demand and NOT available anywhere else. Affiliate Earnings: 20% of paid purchases. Cookie Duration: 90 days. Minimum Payment: $5. Unique Gifts Store - Unique cool gifts for men and women that are made to order and NOT available anywhere else. New product categories and products added every day. Earn 8% commission on sales. Vodrich.com - sells timepieces & bracelets for men at affordable prices. We ship worldwide (excluding a few hard to reach countries). Our products have high-end designs and the price is very affordable so they sell very well.The majority of purchasers are 20-28 year old males from the USA. You will receive 10% commission for customers who buy from your referral link. Watchpartners - Official website of Watchpartners - exclusive Australian & New Zealand distributor of international watch brands from Switzerland, USA, France, Germany & others. Earn 7% commission on sales. Watches Shop - The largest UK online authorised dealer of designer watches and jewellery. We stock over 7,000 models, from over 65 of the biggest and most recognised designer fashion labels available today. All our stock is held centrally at our Distribution Centre in Surrey, some brands exclusively to us. Watch brands we stock include: Adidas, Ballistic, BCBG Max Azria, Ben Sherman, Bench, Black Dice, Breo, Casio, Christian Audigier, Diesel, DKNY, Ed Hardy, Ellesse, Evisu, Fossil, fcuk, Gant, Guess, ice®, Ingersoll, Kahuna, Karen Millen, Kenneth Cole, Lacoste, Levi's®, LTD, Mango, Marc Ecko, Michael Kors, Nautica, Nixon, Obaku, Philippe Starck, Police, Rotary, Sekonda, Seksy, Skagen, Swatch, Ted Baker, Timberland, Timex, Tokyo Flash, TX, Zodiac and many more. We have also got the best deals around on and offline: Watches Shop Sale: We have many popular models on sale at up to 76% off all year round. Daily Watch Giveaway: Win a FREE watch every single day, free to enter and no purchase is necessary. Daily Watch Deals: One crazy deal like Buy 1 Get 1 Free or discounts up to 92% every single day. All products are delivered Free to UK addresses. Buying a watch as a Gift? Watches and Jewellery make ideal long lasting and personal gifts, one that will remind the wearer of you each and every day. With so many to choose from it can be overwhelming, so why not get the next best thing? Gift Vouchers are now available in multiples of £5.00. 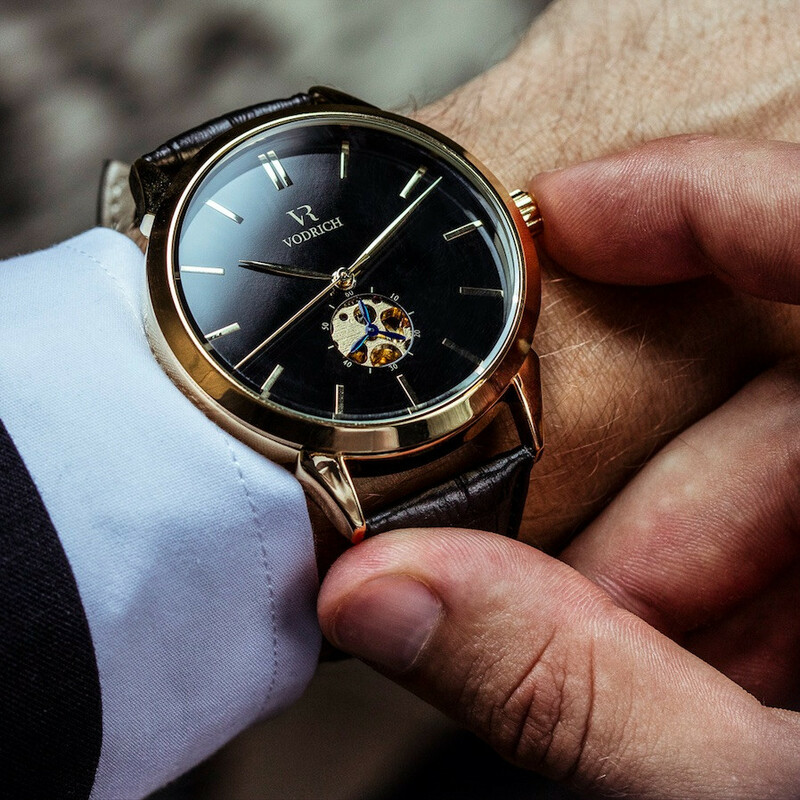 The Watches Shop Affiliate Program pays 7-12% commission on all sales of watches, accessories and jewellery made through referrals from affiliates. Wristwatch.com - sell online largest range of name brand men and women wrist watches featuring some of the finest brands, including designer watches, fashion watches, luxury watches, unisex watches, and sports watches for men, women, and children. As an affiliate you can earn 7% commission per sale. Zazzle - offers one-of-a-kind products by real people. Infinite and instant, Zazzle is the only on-demand retail platform for consumers and major brands, offering billions of retail quality, customized products shipped within 24 hours. At Zazzle, everyone’s an artist. Choose from over 350 different types of products including t-shirts & apparel, cards & postage, mugs & drinkware, and postage & prints. Zazzle’s new affiliate program through DoubleClick Performics offers an improved payout structure with standard 15% commission on all product categories for new and existing customers, and 45-day commission duration. Zazzle also offers the following on-going monthly performance bonus: Total Sales equal to or greater than $1,500, increase commission to 18.75%; Total Sales equal to or greater than $3,000, increase commission to 22.50%; Total Sales equal to or greater than $5,250, increase commission to 26.25%.